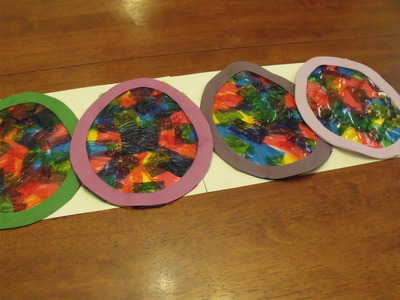 This is a fun activity for children and adults that will create a colourful display for Easter. Time: There is no real time limit, as with most things, preparation is at your own pace. 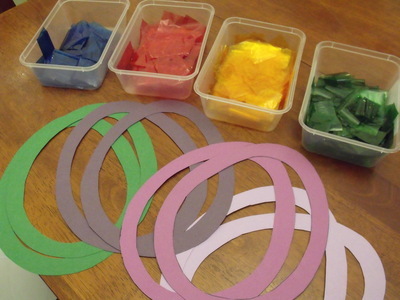 Children can participate in the cutting and drawing up of materials. 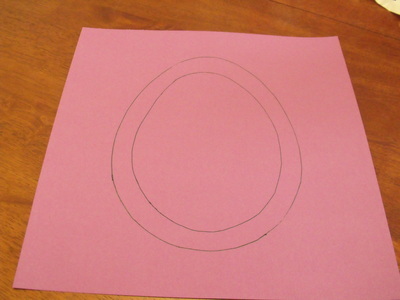 Using the templates, draw both the large and the smaller egg shapes on to the cardboard. 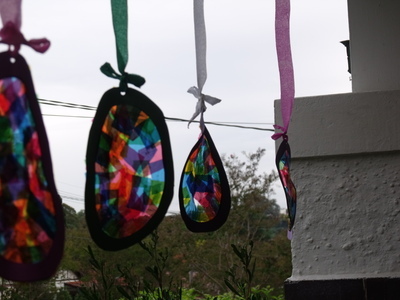 You will need 2 eggs of each colour. 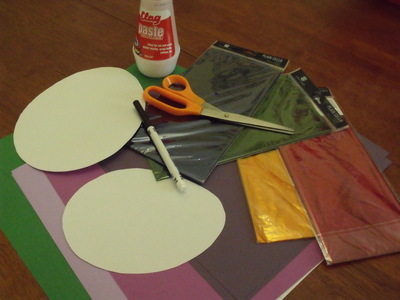 Cut out both large and smaller sized egg templates. 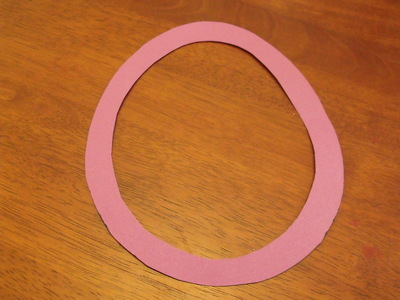 Once everything is cut, you are ready to start. 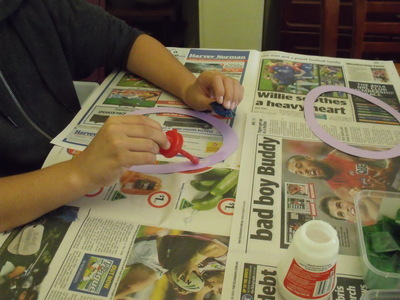 Glue around the outside of the egg. 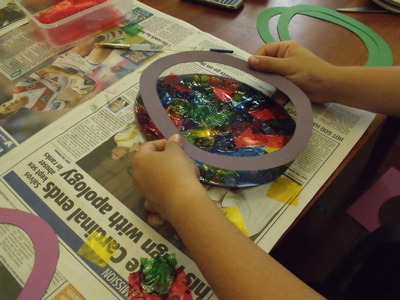 Start placing cellophane strips around the egg shape, working from outside in. 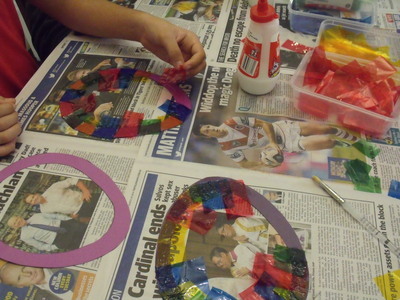 Once finished, glue the other half of the same coloured egg, making a frame. Place somewhere for everyone to see.